Recycling is a way to help the environment, but also a way for you to make some extra money on the side. Everyone has to recycle newspapers and corrugated cardboard, but the city usually gets the money for these items if they use a recycling program for profit. 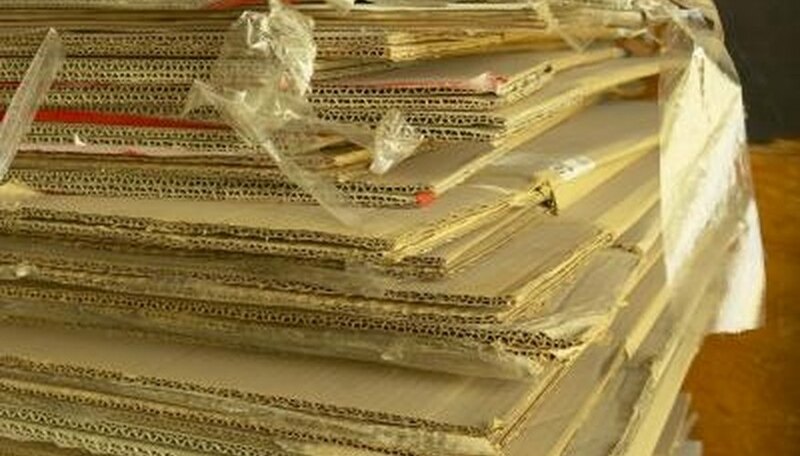 Collecting and recycling newspaper and cardboard is not new; it has been done for years, but many people don't know how to get paid for recycling newspapers and cardboard boxes. Now you can start collecting and making money yourself. Contact your local recycling center to find out their hours of operation. Ask them how they would like to receive the newspapers and cardboard. They may require you to bundle the items or leave them loose. At this time, you can ask what the industry is paying per ton for each item. Although the amount is calculated as a ton, you do not need a ton to make money. You can figure out how much you will make per pound dividing the dollar amount by 2000 (the number of pounds in a ton). If the price for a ton of newspapers is $50, you would divide the dollar amount by 2000 pounds. Choose a location such as a space in your garage to stack the newspapers, and have an area designated for cardboard. You can pick up and save these items weekly and recycle at the end of the week. Tell people that you are recycling newspapers and cardboard and ask them to call you when they have recyclables. You should have a truck or car with a large enough trunk to pick up these items from donors. Take the newspapers and cardboard to the recycling center and have your recyclables weighed. Most places have a scale that you drive your car or truck onto, and it is weighed. Then you unload the vehicle, and the vehicle is weighed again to determine the weight of the goods. You will need to have the cardboard and newspapers weighed separately. This can turn into a lucrative business if you have enough people giving you their recyclables.